With 20 trout streams in Fairfield County, there is no shortage of fly fishing options for the angler willing to explore their backyard. 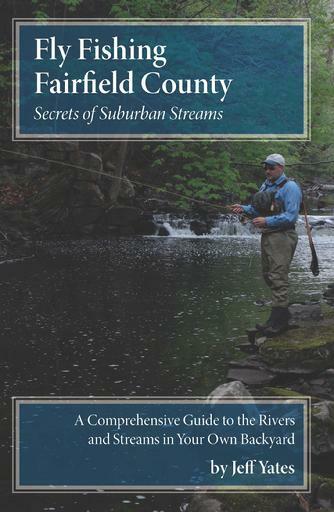 With 200 pages of captivating photographs, detailed maps complete with local roads and parking directions and thorough descriptions of every trout stream in the region, Fly Fishing Fairfield County: Secrets of Suburban Streams by Jeff Yates provides everything you need to have an enjoyable and successful day on the water. Buy the book and in no time at all you can be on the water catching trout in streams you never knew about just minutes from your back door. Spring Season Special - Free Shipping!